ConocoPhillips Canada says it will lay off 250 to 300 employees, mainly from its Calgary head office, in September. The employees were informed about the looming cuts on Thursday, but details of how they will affect specific parts of the business are still being worked out, company spokesman Rob Evans said in an email. Evans said Friday the cuts are part of a global staff realignment to match future activity levels, with Canada looking less attractive than some of its other operations. "Low commodity prices, combined with our inability to get product to new markets, has resulted in lower prices in Canada relative to other parts of the world," Evans said. "Coupled with increased local cost pressures such as corporate taxes, regulatory compliance costs and property taxes, staying competitive in a global portfolio is a challenge for some parts of our Canadian business." The cuts at ConocoPhillips' Canadian operations form part of the roughly 1,000 job cuts the company plans across its North American operations. "We have been transparent with our employees and they were aware that targeted workforce reductions in certain areas of our business may be necessary from time-to-time to align our current organizational capacity with expected future activity levels," he said. Evans said the company will not be commenting further. 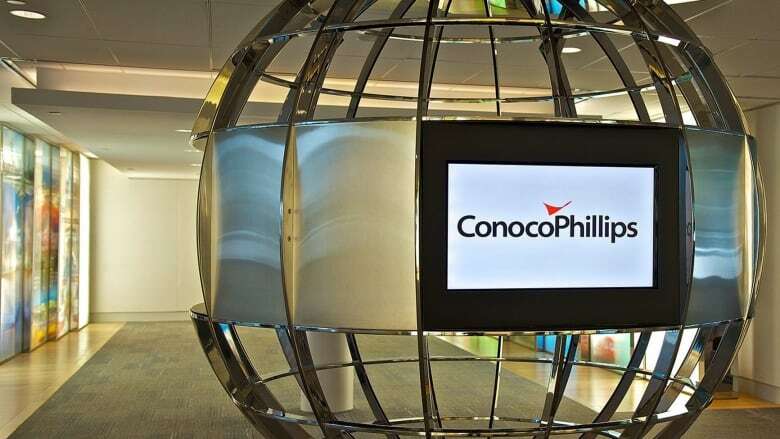 Last September, ConocoPhillips Canada announced a 15 per cent reduction of its workforce — about 400 employees and 100 contractors. In March 2015, the company announced it was cutting seven per cent of its Canadian staff — about 200 jobs.